"Your best bet for breeding and butchering." Adding the Charollais line to our sheep herd has improved our bottom line with faster turnaround from lambs to market-weight animals. 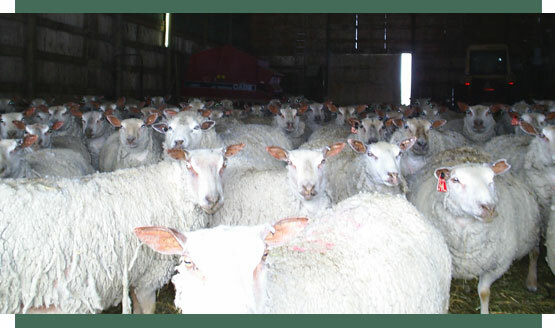 "made our flock much easier to birth and manage"
The Fieldstone Charollais sheep we introduced into our own stock has made our flock much easier to birth and manage. We would highly recommend adding purebred Charollais for all sheep breeders.